Civil engineers conceive, plan, design, construct, operate and maintain the facilities and systems that serve the basic needs of our society. This infrastructure includes buildings, bridges, water tanks, transmission lines, pipelines, highways, railroads, airports, harbors, water and wastewater collection/treatment/distribution systems, dams and power plants. More than any profession, civil engineers can have a positive effect on the protection of our environment. 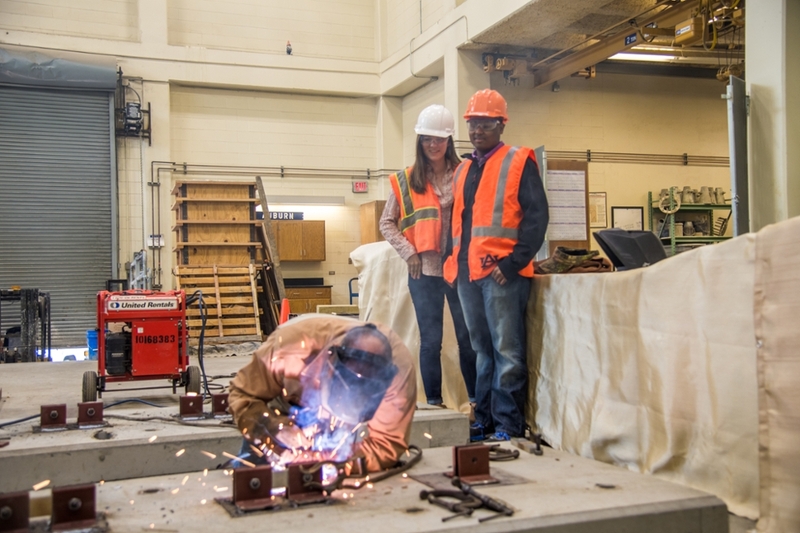 Because civil engineers are involved in every aspect of creating and maintaining our society’s infrastructure, Auburn’s program prepares graduates to have a positive, powerful impact on people’s life and the environment. As an example of the diversity of the skills utilized in civil engineering, the area of construction draws heavily from the basic engineering sciences: fundamental economic business and management principles; computer applications; and just plain common sense and practicality. On the other hand, the area of structural analysis and design is as sophisticated in mathematical and computer modeling as any area in engineering. In fact, the most flexible and powerful numerical modeling/analysis method available to engineers today —the finite element method — was pioneered by civil engineers. Because civil engineers are involved in almost every area that is fundamental to basic human needs, the job market for graduates is strong and stable. Civil engineers are employed in urban and rural areas; they may work for local, state and federal governments, for the smallest consulting firm, or for a large international conglomerate. Earning a civil engineering degree enable a graduate to pursue a wide variety of work in a stable marketplace. Civil engineers don't just make the world a better place — they build it.